i have that pink one. I love it up all the time. 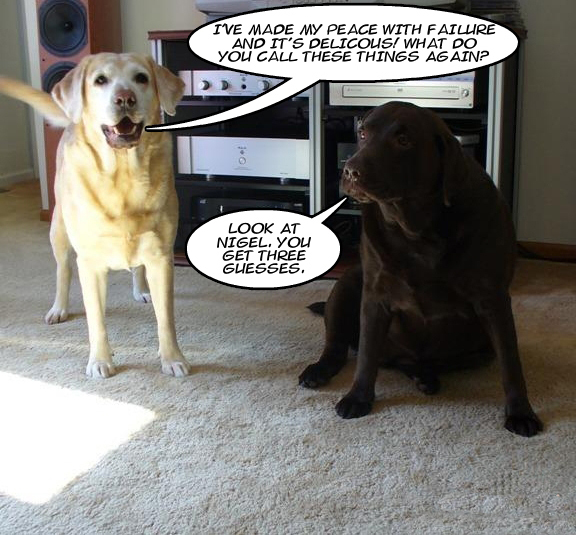 lol thank dog we aren’t labs, we’d fail in less than 2 seconds! I guess I won’t be getting any of those toys for my kids. Nigel looks like he has yellow horns on his head. Nigel: you dumbos, It’s OBVIOUS you DO NOT know that it Takes A Bigger dumbass to Know Another??? You have too much time on your hands for your brilliant sense of humor and I like that. 47 seconds for both of you? That’s actually good for a lab result. Nigel looks quite cute lying there with the toy on his head! 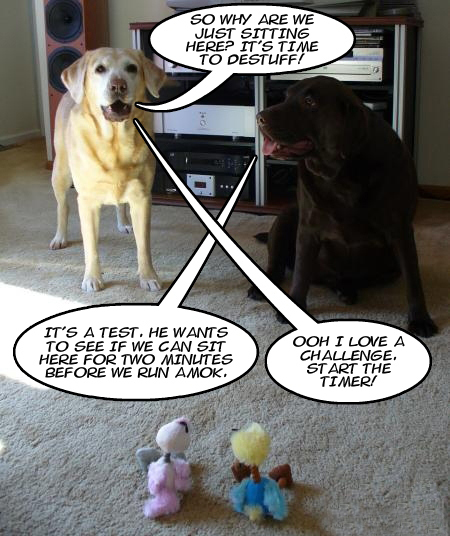 What is it about Labs and destuffing? Mine are terrible about it. 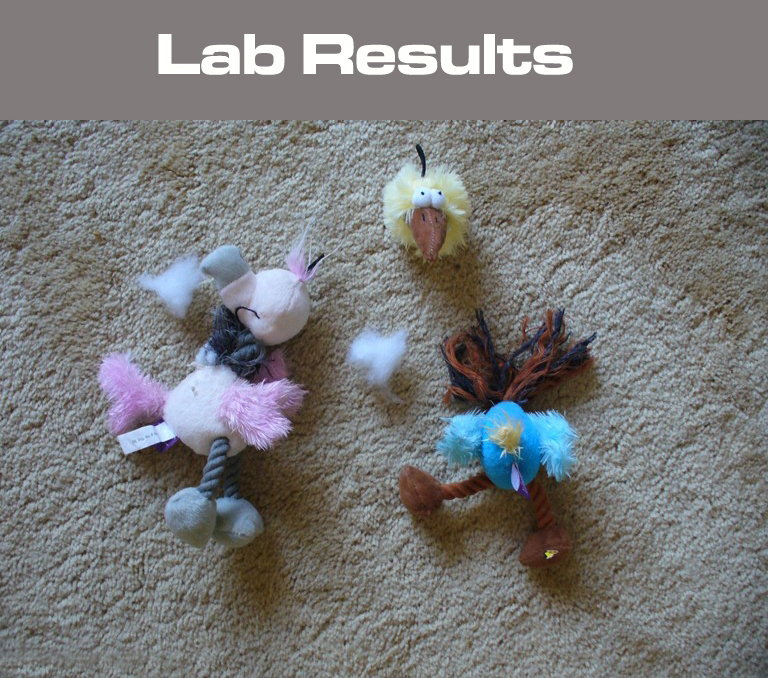 Your average stuffed toy lasts less than 47 seconds around them! Ha ha ha ha! Yes, go for it! No regrets! THis is how I feel when I steal a pizza off the counter and momma tells me I am baaaad. I’m ok with it and I have no regrets. I would (er… will) do it again! 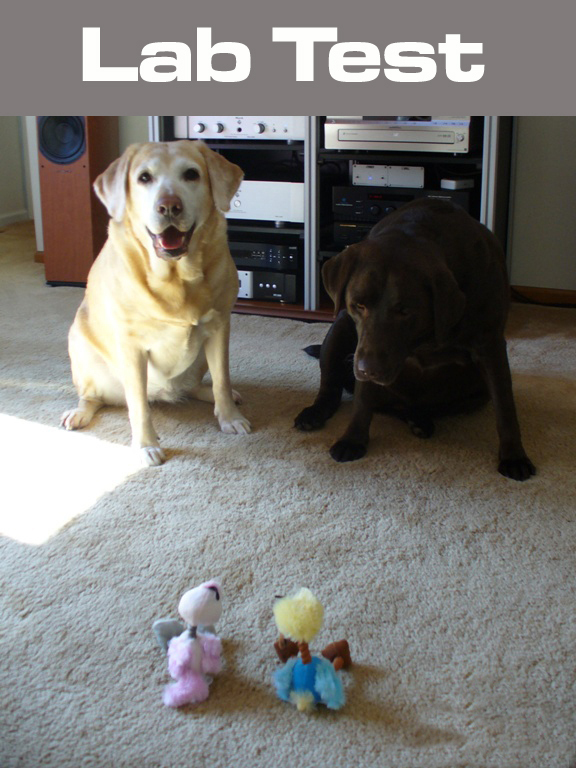 Furry funny ‘lab’ tests, but how did you get that stuffie to sit on Nigel’s head long enough to snap the pitchur???? Time to go shopping again? 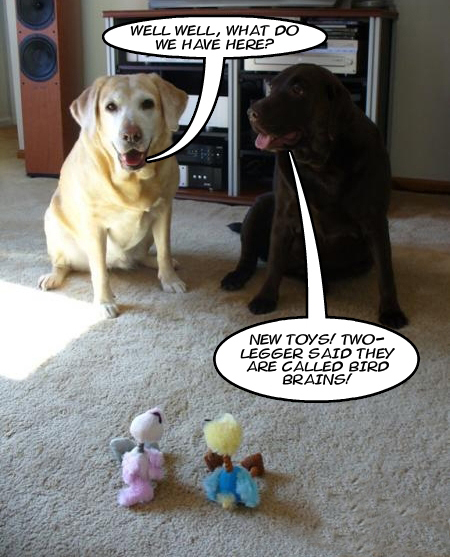 Labs are such goofs sometimes! I mean, I’m not, but Mia sure is. 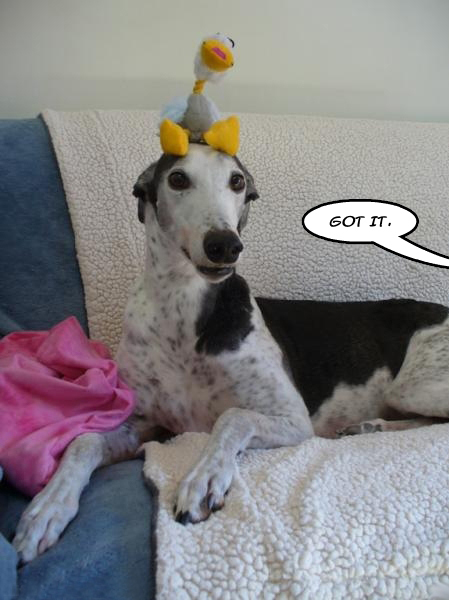 and you Nigel, are so not a bird brain, I mean it takes major skills and intelligence to be able to balance a stuffie on your noggen long enough for your human to capture it! Wow, you are really getting slow. 47 seconds? What a hoot as usual. We luv your sense of humor! Thanks for always making us laugh! Riley and Star and mommy too. BOL! Peep squeak brains. That’s what they’re called. Great experiment on self-restraint. Ha! 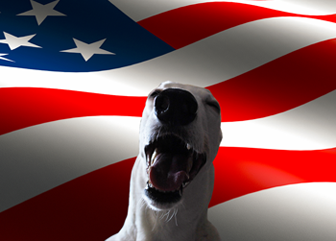 47 seconds is good dogs! Our JR Terriers might last 15 to 20…if you had something else to bribe them with. 47 seconds. Must be some kind of record. Well, 45 seconds is a start.. next time, maybe you can hold it for a minute! Nom, nom, nom. We love your patience! You lasted 45 seconds. Labs! haha we perform the same tests, minus the labs! Awww, Nigel is so very proud of his ability to not de-stuff his bird-brain. Now lets make sure that the girls don’t get the idea of de-stuffing Nigel! Awesome destuffing! I wouldn’t have made it long enough for the picture. We all deserve to fail sometimes 🙂 Love Nigel’s pic. HAH! love it. come on over guys we will teach you the ways of digging for gold! don’t tell the two legger we wrote though — he already said “not in his backyard.” we figured that was a definite challenge and us irish blue dogs always rise to the challenge. 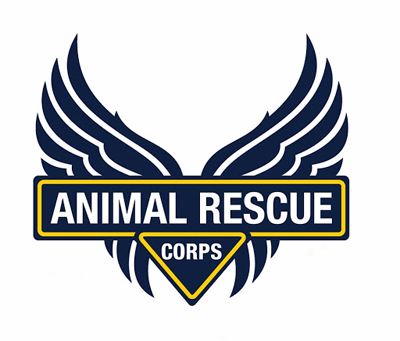 so we will go to the source–to the 4 legged labs to test…heeeehee — and ask dIrectally. Lab tests are the best!!! I love how Nigel looks quite proud of his birdbrain status. *That was a very cheap, cheap, cheap shot on Mr. Author’s part. Oh mercy! That was a good laugh this morning! I’m just glad that there were only lab tests this morning and no lab gas! Amazing test of willpower with the same result as I get when on a diet. No more tantrums, tears or eyerolling when the doctor tells me more lab tests are required! Yipee!!! Wonderful post! Geez, I sure hope your DMO paid for it! Was there a PLUS sign?